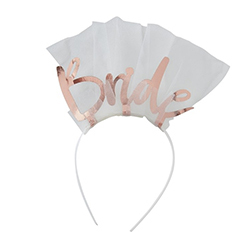 Over the years we've seen so many different types of tiaras and veils that we really thought we'd seen it all, but this rose gold bride to be headband and veil is a totally new concept, it's classy and eye catching at the same time. 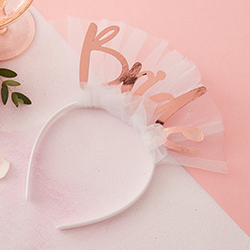 The rose gold bride writing on the top will stand out but isn't too much, it's a subtle and classy addition. 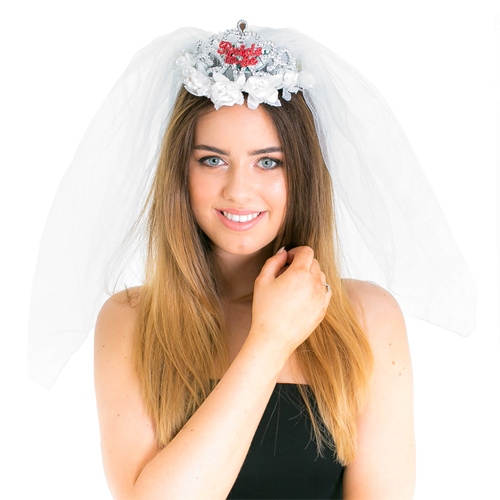 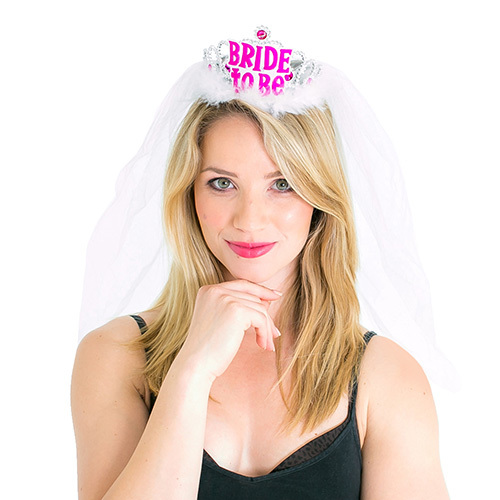 This headband also has an attached veil, this ticks all of the boxes. It's possible to create a really great outfit for the bride to be which incorporates this headband and some other items from the same range such as the floral bride to be sash.